A Mountain-Biking Teen Fulfills His Need for Speed | One to Watch | Kids VT - small people, big ideas! Aidan Casner's first mountain bike ride did not go well. "I kept falling," he says, "I had a terrible time." That was 11 years ago, when he rode at Kingdom Trails in East Burke with his dad, professional photographer (and Seven Days and Kids VT contributor) Jeb Wallace-Brodeur. Eventually, though, Aidan warmed to the sport. 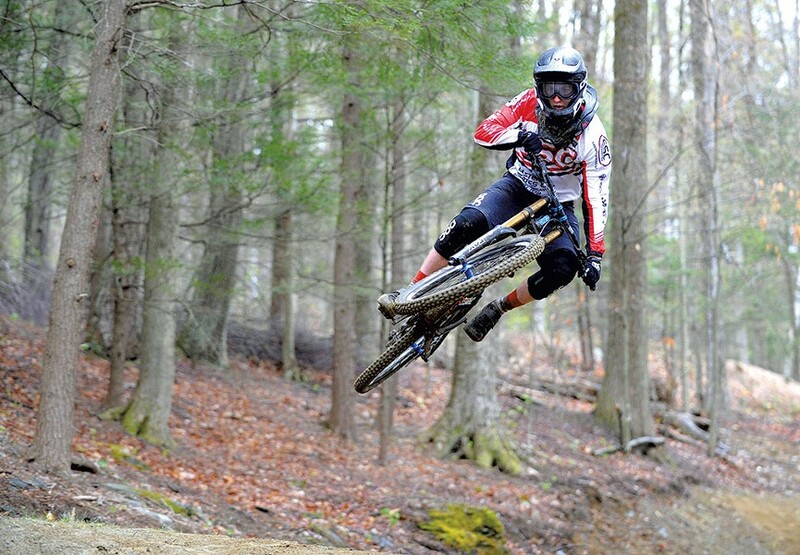 He credits watching a downhill mountain biking race at Bolton Valley Resort as a turning point. He was blown away by how the racers handled their bikes over rocks and steep terrain at top speed. So father and son went to Killington Resort to try downhill riding. From then on, Aidan was hooked. He was 10 when he participated in his first downhill race at Killington; he started competing seriously at age 13. These days, Aidan spends a lot of time on his bike — riding local trails with his friends and racing every other weekend. And he's winning and placing in high-profile races (see sidebar). 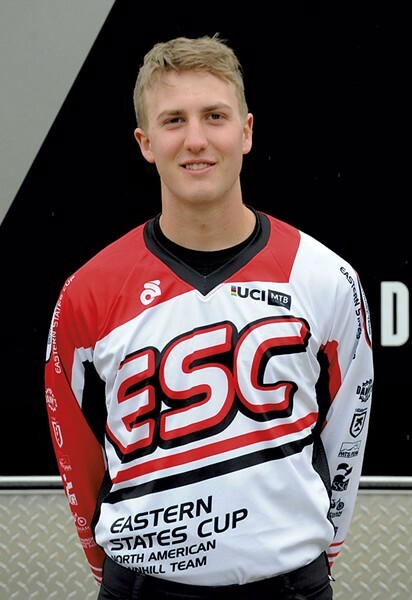 Last year, he ranked fifth in the nation for downhill mountain bike racing. And he was recently invited to join the Eastern States Cup North American Downhill Team, along with eight other junior racers from the Northeast. 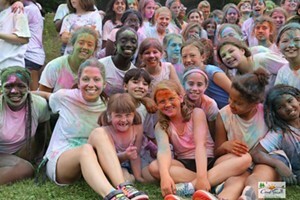 Downhill races culminate in one all-important run. Riders preview the track during a walk-through and practice laps, "and then you go on autopilot," Aidan says. "You get into a zone." He keeps calm by breathing and visualizing the track, and by keeping things casual with his fellow racers. "I like to joke around with the people at the top," he explains. In addition to downhill races, he also competes in enduro events, composed of timed downhill and untimed uphill stages. He likes those contests because they're more social and relaxed, like being on a ride in the woods with friends. And because they combine a bunch of races into one event, they're also great practice for his downhill runs. Wallace-Brodeur says he's become accustomed to seeing his son navigate big drops and jumps. "It used to be pretty hard to watch," he says, "but over time I've learned that he is a pretty good judge of his own abilities and almost never gets in over his head." This April, Aidan traveled to Lourdes, France, to represent his team at the Union Cycliste Internationale Mountain Bike World Cup opener. While there, Aidan got to talk shop with many of his racing idols. On race day, the trail was muddy and full of slippery rocks and roots. Aidan fell during his qualifying run and didn't end up competing. But all was not lost: "I think he realized he could compete at this level," his dad says. "Which was important." He'll be participating in two more World Cup events this year in Switzerland and Québec. Despite downhill racing's inherent risks, Wallace-Brodeur is grateful that Aidan has found something he really loves. Says the proud dad: "I think I'd be more worried if he didn't have anything in his life that he felt strongly about."